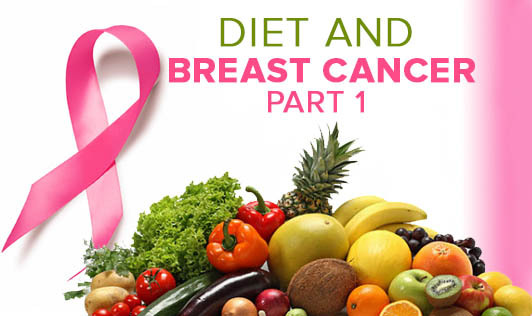 Scientists have done a lot of research on the effects of various dietary foods and their link to breast cancer, most of which have been inconclusive and inconsistent. However, there is some evidence found on the following foods. Fats are of two types; the bad fats found in butter, ghee, margarine, vanaspati, or dalda, and red meats, and the good fat found in fish, certain oils, and nuts. Remember the hidden fats in sweets, biscuits, cakes, and other foods that you buy readymade, is bad fat. A meta-analysis of 45 studies shows that women who have more fats in their diet have an increased risk of breast cancer. The meta-analysis specifically shows that women who ate food with high saturated fats had double the risk of breast cancer compared to those who ate less saturated fat. There is no strong proof that supports the link between sugars, carbohydrates, and breast cancer. However one large study done on Chinese women in the USA showed that, when women younger than 50 had a high carbohydrate diet their risk of developing breast cancer increased slightly. One more possible reason that links sugar to breast cancer is obesity. Women who eat too much sugar can become overweight and it has well been proved that being overweight increases the risk of breast cancer in post-menopausal women. Researchers have consistently shown that drinking alcoholic beverages such as beer, wine, vodka, and rum increases a woman's risk of developing breast cancer. According to them alcohol increases the levels of estrogen and other hormones associated with breast cancer. It also increases the risk by damaging the DNA in cells. According to a study, women who had three alcoholic drinks per week had a 15% higher risk of developing breast cancer compared to women who did not drink at all. Experts also estimated that the risk of breast cancer went up by another 10% for each additional drink had regularly. A 2009 study done on drinking alcohol and the risk of recurrence showed that drinking even a few alcoholic beverages per week increased the risk of recurrence in women who had been diagnosed with the early-stage of cancer. The bottom line is that all types of alcohol count and even if you don't binge drink or get drunk regularly; drinking can still harm your health. If you follow a healthy diet, maintain your weight, and reduce your alcohol intake you will definitely reduce your risk of breast cancer as well as other illness.